Tangram's Smart Dot is the first smart stylus we got our hands on, and it's really quite extraordinary. Styluses are good at doing one thing and one thing only, replacing your finger. The Smart Dot stylus is a genius little gadget accessory for smartphones that's more than good for sketching, drawing and note taking. It's the first app enhanced stylus we've reviewed. With the help of an app, the Smart Dot serves as a powerful wireless presentation and input device delivering an entirely new user experience regular styluses long for. Sounds impressive, as long as it all works in practice that is. Catch the full review down below! Styluses come in many different pen-like shapes to help the tech savvy individual get ideas onto a touchscreen display more easily rather than using ones finger, preferably using a tablet or a very big smartphone. That large black thing above is the Cosmonaut. A stylus that was designed to be different. In a big way, as you can see. The Cosmonaut is made by Studio Neat, the makers of the Glif tripod mount for iPhone we honored with an Editors' Choice award. There's a quite a bit of hype orbiting this successful Kickstarter stylus, so what do we have to say about it you ask? 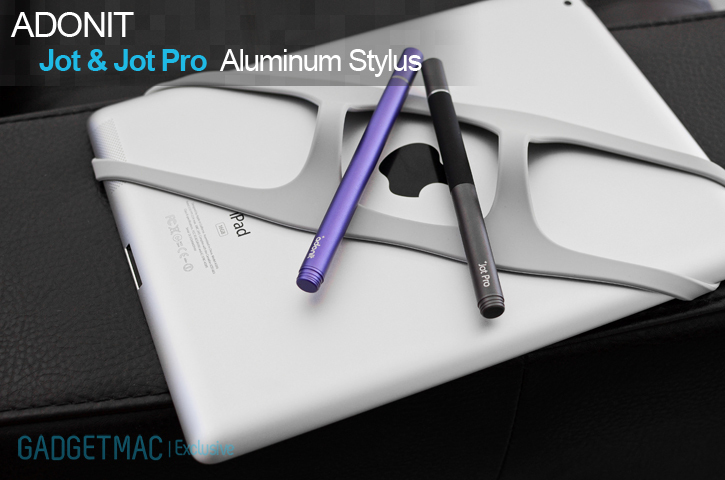 Find out as we review and compare the Cosmonaut stylus down below! Before you get the wrong idea, no we didn't jack this stylus from a pixie. Meet the MicroStylus Jack. This is the world's smallest, tiny little, microscopic speck version of a stylus. And although we have seen and reviewed our fair share of capacitive touchscreen styluses, this one takes the cake in being highly portable. The questions is, can the MicroStylus Jack replace the need for much larger, traditional styluses? Find that and more in the full review after the jump! I'll be the first to admit it. I don't see the point of a stylus. Why use another extraneous accessory when you can just use one that you will always have with you - your finger. 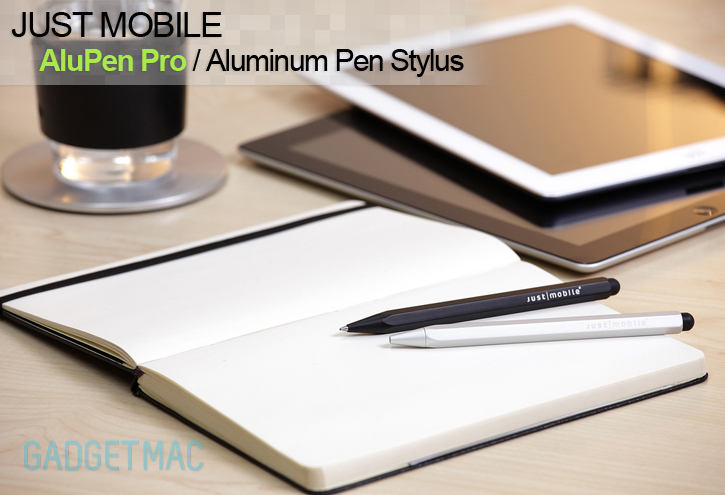 Since the launch of the iPad and other tablets and touch devices, the market for stylus accessories have exploded. A while back we took a look at Just Mobile's first generation AluPen... and we loved it. We return today with the AluPen Pro with some noticeable perks over its predecessor. What kind of upgrades did we find? Check out the review after the jump!